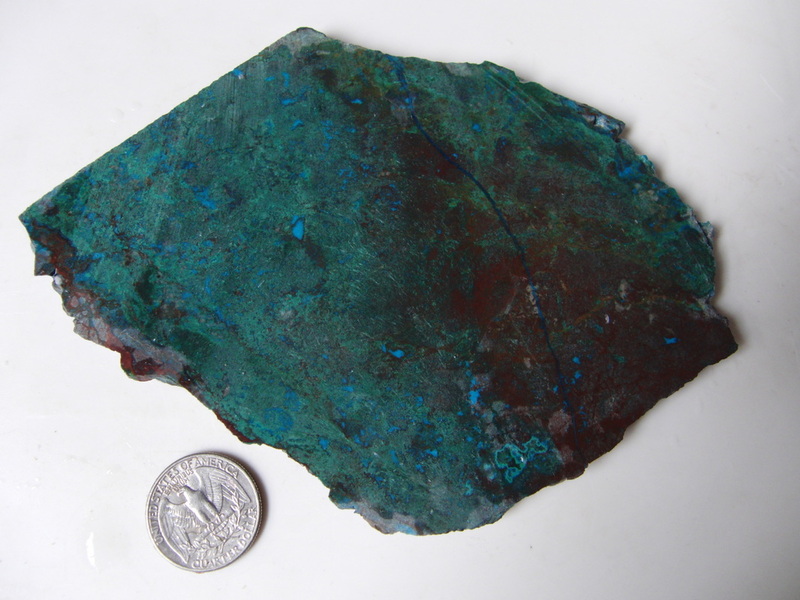 Hand-polished pieces of Peruvian chrysocolla, often mixed with other copper minerals such as malachite, atacamite, and cuprite. Fine quality gem rough! Chrysocolla with atacamite and chatoyant acicular malachite. From a collection of old stock. Quantities are limited!